The funeral for the great American hero, John Glenn, a decorated fighter pilot, an astronaut, US Senator, and philanthropist, took place on Saturday, December 17, 2016. Senator Glenn believed deeply in public service and established a John Glenn School of Public Affairs at Ohio State University to encourage others to participate in public service. However, as many great men and women receive our acclaim and gratitude during their lives or after their deaths, we should remember that, for every one of them, many other unnamed people need to do their jobs for the heroes and heroines to succeed. We are particularly reminded of this with respect to space flight when we recall the Challenger Space Shuttle Tragedy in 1986. The failure of one O-ring seal caused the death of all seven astronauts, one of whom was the first non-astronaut to go into space, schoolteacher Christa McAuliffe. With the 2003 Columbia Space Shuttle Disaster, a small piece of foam insulation broke off and caused the space capsule to break apart. Both of these disasters resulted from apparently small failures that had big consequences. The people who did not do their job were not the acclaimed astronauts, but faceless people who designed or built small pieces of the spacecraft. We depend every day on many people routinely performing their jobs as required, and, in many cases, on a certain percentage of those people being exceptionally resourceful, creative and committed to their missions. It is a bittersweet coincidence that, as we grieve for Senator Glenn, a true American hero, we are a week away from celebrating three African American women whose dedication to their duties and brilliance were among those that enabled Senator Glenn’s Friendship 7 space shuttle mission to succeed. We are doing so with the release of the film Hidden Figures, which stars Taraji P. Henson, Octavia Spencer and Janell Monae, as well as Kevin Costner. These three women were part of a small team of African American women whose work was foundational to getting the Friendship 7 spacecraft into earth orbit. 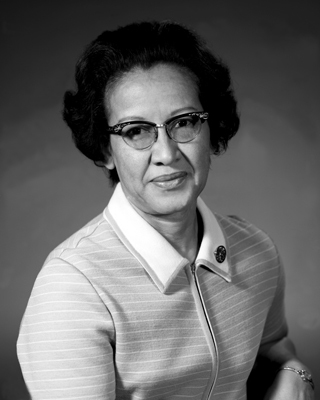 The woman whose work was most instrumental, Katherine Johnson, now 98 years old, was unknown to us until author Margot Lee Shetterly wrote a book about Johnson and the other women, also called Hidden Figures. A transcript of NPR’s interview with Ms. Shetterly was published on this page. I love these kinds of books. One book which has a similar theme is David Zweig’s Invisibles, which celebrates those who work beyond the scenes in workplaces to make others successful, famous, and rich. Another is Paul Kennedy’s Engineers of Victory, which celebrated those whose great problem-solving ability turned the tide in World War II. Dr. Catana Starks, the real hero of From the Rough, would easily be considered an “unsung hero.” She was a trailblazer in showing that women could coach male athletes, and built a powerhouse team. She was far ahead of her time in showing how a historically black college could accept and integrate international student-athletes. She had a full-time teaching load and had a remarkable record of success in getting her students through to graduation. She was a mother and grandmother, and she was a successful advocate for prison sentence reform for non-violent drug offenders in Tennessee. In one sense, she is uniquely wonderful because of what she accomplished. In another sense, there are many stories like hers, particularly among African American women, who have never gotten the acclaim or the financial rewards they deserved. We are pleased to be able to tell a piece of Dr. Starks’ story in From the Rough. We are also pleased that a major Hollywood studio has placed a bet on the success of a story about other previously unheralded African American women. We particularly are happy that Hollywood has recognized that Taraji P. Henson is exceptionally passionate and gifted in bringing previous unheralded women to life. She did a superb job portraying Dr. Starks in our film and has done it again with her portrayal of mathematician Katherine Johnson. It is perhaps not coincidental that Ms. Henson’s great-great grandfather’s brother, Matthew Henson, was relatively unheralded for being the only African American member of Robert Peary’s successful North Pole expedition team in 1909. At a time when our country is both deeply divided and many Americans have fragile confidence about the future, it is energizing and refreshing to recognize that, among us, there are many people who just get the job done, and, in so doing, accomplish amazing things! Senator John Glenn deserves all the acclaim he has gotten and will continue to get. However, let us not forget the Katherine Johnsons’ and Catana Starks’ of the world and how they enable others far more famous than they are to succeed. Perhaps the best way to describe me is that I have gravitated toward the “road less traveled” in my choices.In earlier versions of this autobiographical summary of my life, I skipped over my childhood, but after having re-looked at my life from the vantage point of my formative experiences, I concluded that I was missing too many important pieces of the puzzle.